Sometimes you need a visual to help teach deep breathing. Here are four posters size 11”x17” with simple breathing techniques - square breathing, figure 8 breathing, star breathing and triangle breathing. Square Breathing - Cars taking a slow relaxing drive around a lake encourage kids to breathe in for 4, Hold for 4, breathe out for 4, hold for 4. Lazy 8 - Figure skaters on an ice skating rink encourage kids to take a deep breath in a lazy 8. Start with an image of an eight on its side (it looks like an infinity sign). Starting in the middle, go up to the left and trace the left part of the 8 with your finger while you breathe in. When you get to the middle of the eight again, breathe out while you trace the right part of the 8 with your finger. Star Breathing - A cute astronaut floating in space encourages kids to breathe in, hold at the point, breathe out, keep going until you’ve gone around the whole star. PeaceMakers is a great way to focus on mindfulness and help kids learn about themselves. The prompts on the cards can help kids become aware of what's going on inside of them and what's going on around them in the world. It can also generate some interesting conversations. I've pulled out just one card and started a conversation with my kids that was fascinating and helped me learn more about them. What a great way to connect! Using a highly engaging toy that inspires creativity and imagination is an awesome way to encourage play, which is a natural stress reliever for kids. There is no one "right" way to play with it, and it can lead to a long play session for your child. Movement is an excellent way for kids to find the right balance in their energy levels and cope with big feelings. Movement can help expend extra energy for some kids and can help kids with lower energy become more alert. 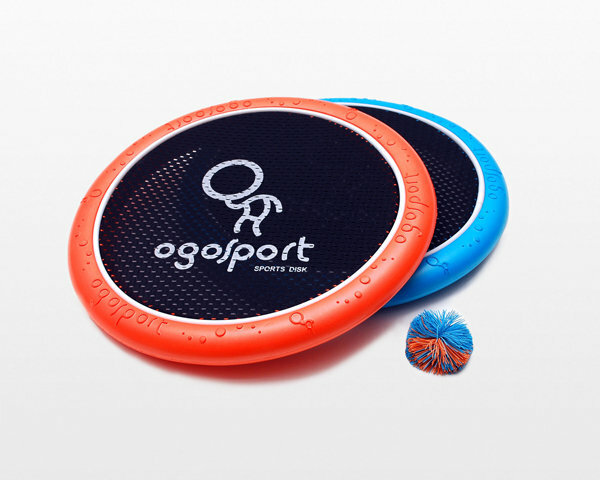 This toy is like a trampoline that you hold in your hand. Bounce the included koosh ball up and down on your hand trampoline if you're playing alone, or back and forth with a partner. Of course, you can also make up your own ways to play. It's a ton of fun! This fidget is perfect for taking to school or when you're out and about. It's the perfect addition to a calm down corner or space, or as part of a calm down kit! Information from the manufacturer states that research studies in widely varying fields such as play therapy, ADHD, dementia, nursing, special needs care, mental health, and well-being have found efficacy in playing with a Tangle. A stress ball is a great tool to help kids relax, calm down and de-stress. Perfect for schools, offices or at home, this stress ball is an excellent addition to a basket of fidgets or a coping skills toolkit. The stress balls are dark blue and measures 2 3/4" in diameter. Whenever I sit down and talk with someone about their coping skills, one of the first things I ask is if they have tried writing about it. Why do I always start with journaling as a way of processing through difficult feelings? It’s easier to write than talk about hard things. Journaling helps kids process what is happening. It can help you solve a problem or reframe your thinking. This journal is handmade, and measures 5” x 6” and has 50 unlined sheets. A relaxing way for kids to practice mindfulness. These buddha boards just need water. Use the brush to write a pattern on the Buddha Board, then watch it slowly fade away. So relaxing! Jennifer Cohen Harper, the author of Little Flower Yoga for Kids, has created a yoga and mindfulness card deck. It includes more than 50 activities to help kids cope with stress and overwhelm. Keep your coping skills toolbox with you wherever you go! These bags can fit fidgets, silly putty, a small book or cue cards. These are perfect for counselors and therapists on the go - a convenient way to keep all the coping skills tools you need available. These bags are also great for families too. Keep your child’s coping tools with them no matter where they are. Perfect for going to school, going out on errands on the weekend, or heading to a party. Over $225 worth of products for you!